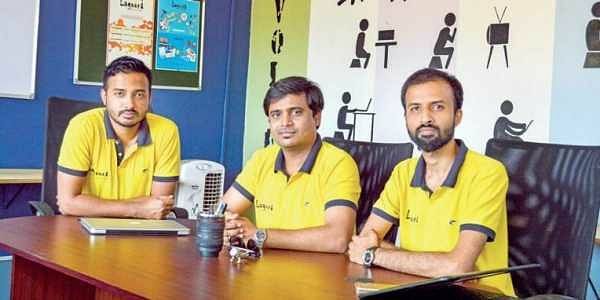 BENGALURU: In November 2015, N Hemanth Kumar, Nikhil Chandra and Bharath Narasimha Swamy started Lagoori, naming it after the local Lagori game. Dealing with website design and development, search engine optimisation, social media marketing, advertising, strategic brand consulting and analytics, the trio created a website that looks exactly the way you would want it on your mobile. “We observed that the design industry is bit unorganised. There is a huge gap in technology up-gradation when it comes to website development and branding. We wanted to fill this gap and make the internet a beautiful place,” said 32-year-old Hemanth, adding that their package includes a powerful light-weight website builder, reliable cloud hosting, top security, email and the best SEO for one’s website. For example, they wanted to combat unresponsive websites, lack of SSL certificates, security updates, no maintenance or long term support. The team sees Mysuru as a playground for start-ups to explore challenges and opportunities, coupled with low operating costs, less local competition and opportunity to innovate. They inevitably faced challenges, while building a support network. “We were surviving on limited resources but advertising platforms by Google and Social Media Platforms gave us the edge to penetrate the market. Our future plan is to bring businesses in Mysuru, online, scale up employees and introduce flexible pay,” informed Nikhil. “Now everything is going digital and people recognise the importance of online business. We are proud to say that we have 45+ clients from Mysuru, who are happy with low marketing cost and better reach,” Nikhil added. “Lagoori gives everything to run your business, be it a small boutique or a large business. Since 2016, we have seen increase in sales and revenue by 40 per cent. Our USP is constant compliance with technological growth, to give best to our customers,” said Bharath. Fierce competition, hiring suitable candidates and financial management are the challenges also faced by the young founders, who have invested `10 lakh without any government schemes. They remain keen to solve operational and technical problems of an enterprise and help clients to build a brand.